Looking down the 1st / 18th Fairway at The Loop. In September, I had the opportunity to take a tour of “The Loop,” Forest Dunes’ new — and unique golf course. 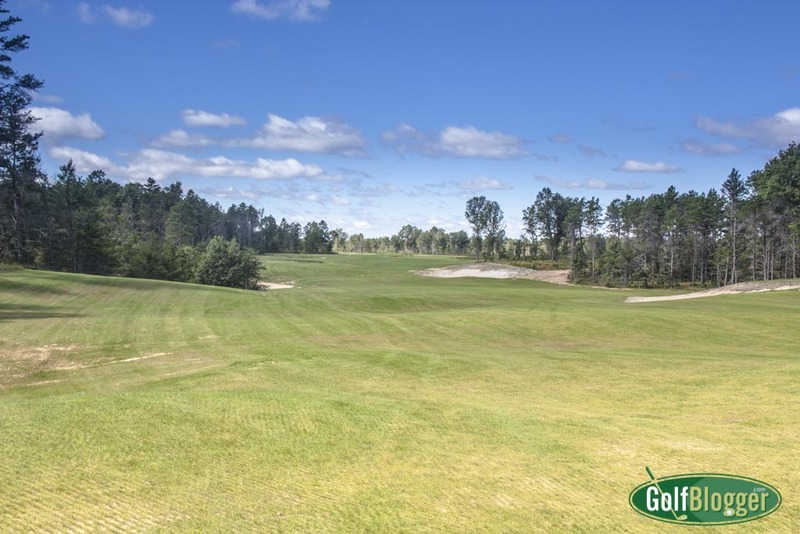 The basic concept behind The Loop at Forest Dunes is that it is a course that can be played either clockwise or counter clockwise. There are eighteen greens, and more than a hundred teeing areas that provide an unbelievable number of course options. Saying that The Loop can be played in two directions doesn’t really do justice to the concept, though. The best way to think of The Loop at Forest Dunes is that it’s two courses sharing fairways. These two photos give perhaps the best example of how The Loop works. In the top photo, I’m standing on the teeing ground of the first hole, adjacent to the eighteenth green. In the photo below, I’m standing on the teeing ground of the eighteenth, looking forward to the eighteenth green (and adjacent to the first green). Looking up the 1st / 18th fairway at The Loop. Note that this is the same fairway. Each of the pairs of tees at The Loop shares a fairway — and a green. Only the ninth and eighteenth greens are the same in either direction. The genius of Tom Doak’s design is evident in this hole (and plays out over the entire eighteen on both directions). Note that the holes do not look the same. In the second photo note the waste area right, a trap left middle which can be avoided by all but the worst tee shots and the trap approaching the green further down the fairway. Then, contrast that to the top photo. In that photo, the right waste area is not to be seen; the trap approaching the 18th green can be ignored, but the furthest bunker left has to be considered. Same fairway. Two different sets of considerations. Not only the placement of the bunkers, but also their facings makes the hole different. Doak manages to continue this sort of brilliance throughout the design. Thanks so much to General Manager Todd Campbell, PGA, for taking me on the tour and to Kevin Frisch for making the arrangements. 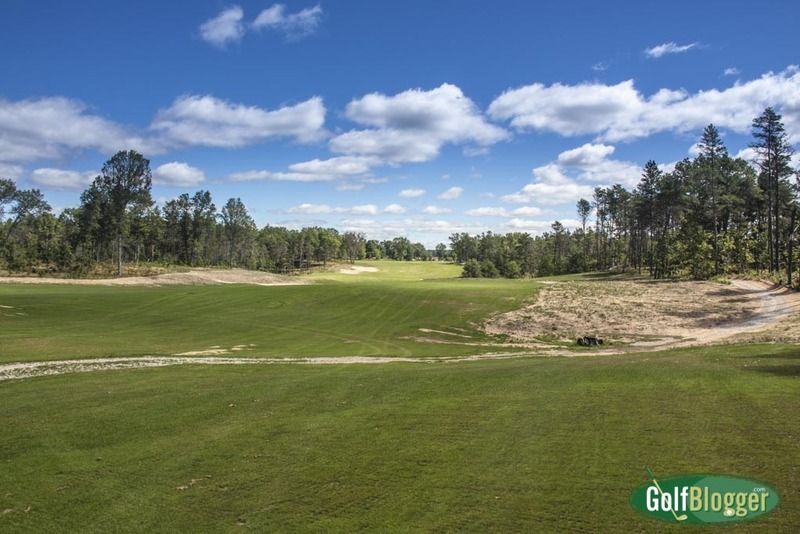 “Touring The Loop At Forest Dunes” was originally published September 14, 2015.